Jason Van Bergen has written a complete and thorough description and narrative of the Triple Screen Trading System developed By Dr. Elder. His article has been divided into eight fact filled pages which can be located at Investopedia.com. 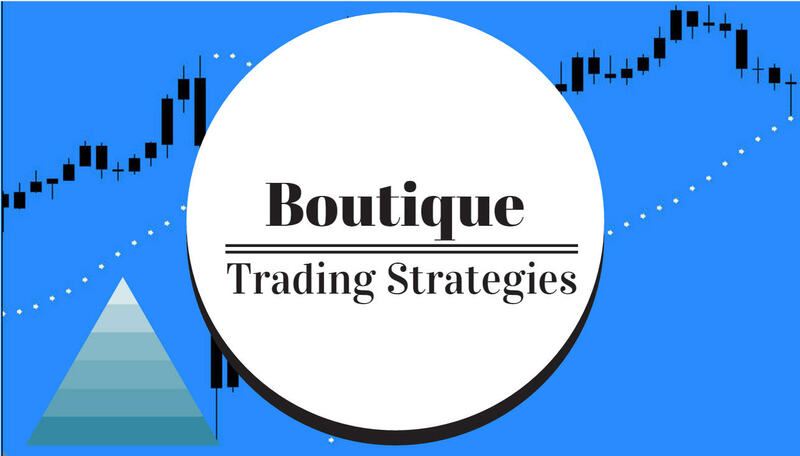 This series of articles is very well written and contains excellent advice as to how to trade properly using this strategy. There are several pages filled with explanations and also references to important details. Related Searches: Metastock, Trading for a Living, AUD/USD Technical Analysis Aussie Ready To Rebound? Sounding more like a medical diagnostic test, the triple screen trading system was developed by Dr. Alexander Elder in 1985. The medical allusion is no accident: Dr. Elder worked for many years as a psychiatrist in New York before becoming involved in financial trading. Since that time, he has written dozens of articles and books, including "Trading For A Living" (1993). He has also spoken at several major conferences. Many traders adopt a single screen or indicator that they apply to each and every trade. In principle, there is nothing wrong with adopting and adhering to a single indicator for decision making. In fact, the discipline involved in maintaining a focus on a single measure is related to the personal discipline is, perhaps, one of the main determinants of achieving success as a trader. What if your chosen indicator is fundamentally flawed? What if conditions in the market change so that your single screen can no longer account for all of the eventualities operating outside of its measurement? The point is, because the market is very complex, even the most advanced indicators can't work all of the time and under every market condition. For example, in a market uptrend, trend-following indicators rise and issue "buy" signals while oscillators suggest that the market is overbought and issue "sell" signals. In downtrends, trend-following indicators suggest selling short, but oscillators become oversold and issue signals to buy. In a market moving strongly higher or lower, trend-following indicators are ideal, but they are prone to rapid and abrupt changes when markets trade in ranges. Within trading ranges, oscillators are the best choice, but when the markets begin to follow a trend, oscillators issue premature signals. To determine a balance of indicator opinion, some traders have tried to average the buy and sell signals issued by various indicators. But there is an inherent flaw to this practice. If the calculation of the number of trend-following indicators is greater than the number of oscillators used, then the result will naturally be skewed toward a trend-following result, and vice versa. Dr. Elder developed a system to combat the problems of simple averaging while taking advantage of the best of both trend-following and oscillator techniques. Elder's system is meant to counteract the shortfalls of individual indicators at the same time as it serves to detect the market's inherent complexity. Like a triple screen marker in medical science, the triple screen trading system applies not one, not two, but three unique tests, or screens, to every trading decision, which form a combination of trend-following indicators and oscillators. There is, however, another problem with popular trend-following indicators that must be ironed out before they can be used. The same trend-following indicator may issue conflicting signals when applied to different time frames. For example, the same indicator may point to an uptrend in a daily chart and issue a sell signal and point to a downtrend in a weekly chart. The problem is magnified even further with intraday charts. On these short-term charts, trend-following indicators may fluctuate between buy and sell signals on an hourly or even more frequent basis. In order to combat this problem, it is helpful to divide time frames into units of five. In dividing monthly charts into weekly charts, there are 4.5 weeks to a month. Moving from weekly charts to daily charts, there are exactly five trading days per week. Progressing one level further, from daily to hourly charts, there are between five to six hours in a trading day. For day traders, hourly charts can be reduced to 10-minute charts (denominator of six) and, finally, from 10-minute charts to two-minute charts (denominator of five). The crux of this factor of five concept is that trading decisions should be analyzed in the context of at least two time frames. If you prefer to analyze your trading decisions using weekly charts, you should also employ monthly charts. If you day-trade using 10-minute charts, you should first analyze hourly charts. Once the trader has decided on the time frame to use under the triple screen system, he or she labels this as the intermediate time frame. The long-term time frame is one order of five longer; and the short-term time frame is one order of magnitude shorter. Traders who carry their trades for several days or weeks will use daily charts as their intermediate time frames. Their long-term time frames will be weekly charts; hourly charts will be their short-term time frame. Day traders who hold their positions for less than an hour will use a 10-minute chart as their intermediate time frame, an hourly chart as their long-term time frame and a two-minute chart as a short-term time frame. The triple screen trading system requires that the chart for the long-term trend be examined first. This ensures that the trade follows the tide of the long-term trend while allowing for entrance into trades at times when the market moves briefly against the trend. The best buying opportunities occur when a rising market makes a briefer decline; the best shorting opportunities are indicated when a falling market rallies briefly. When the monthly trend is upward, weekly declines represent buying opportunities. Hourly rallies provide opportunities to short when the daily trend is downward.